Mix and match colors and sizes. Just Click "Add Another"
• Minimum order of 6 on embroidered apparel. • Minimum order of 12 on embroidered caps. • Minimum order of 12 on screen printed apparel. Minimum order of 6 on embroidered apparel. Minimum order of 12 on embroidered caps. Minimum order of 12 on screen printed apparel. You won't find a softer fabric or better value anywhere. 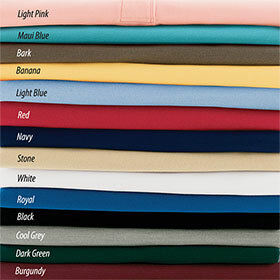 These easy-care 65/35 poly cotton shirts feature metal buttons with dyed-to-match rims. The pique fabric is incredibly soft and silky but highly wrinkle resistant! 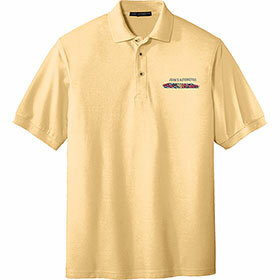 Your estimators and office staff will love these shirts as much as we do! *Denotes colors available with Pocket.